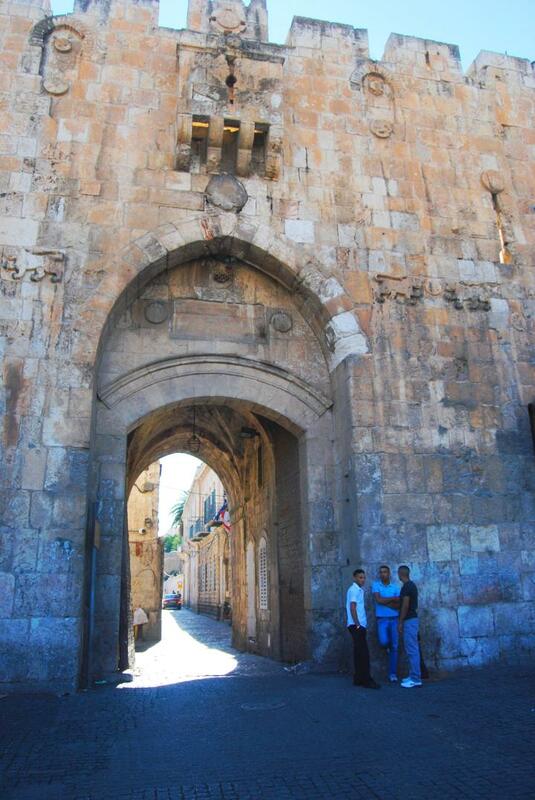 The gate is located on the north-east side of the old city, leading to via Dlorosa. Genesis 49 9: "Judah is a lion's whelp: from the prey, my son, thou art gone up: he stooped down, he couched as a lion, and as an old lion; who shall rouse him up?" 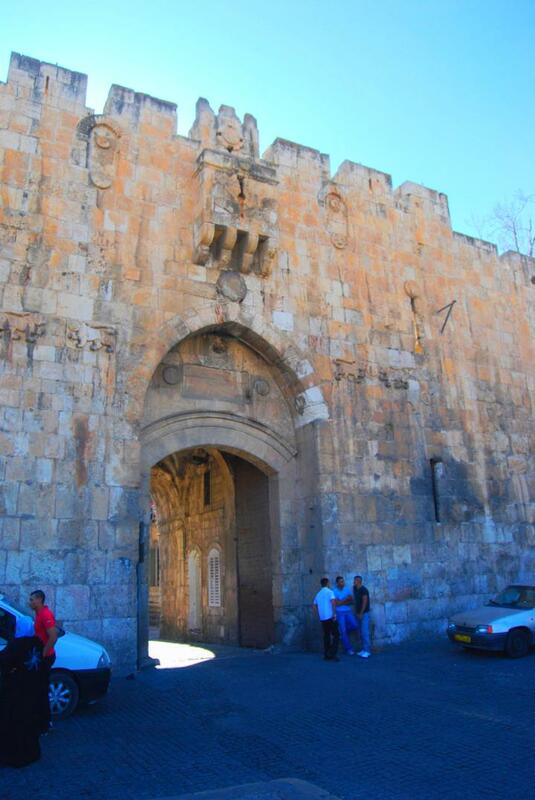 The Lions' gate is located on the north-east walls of the old city of Jerusalem, leading to the Via Dolorosa. 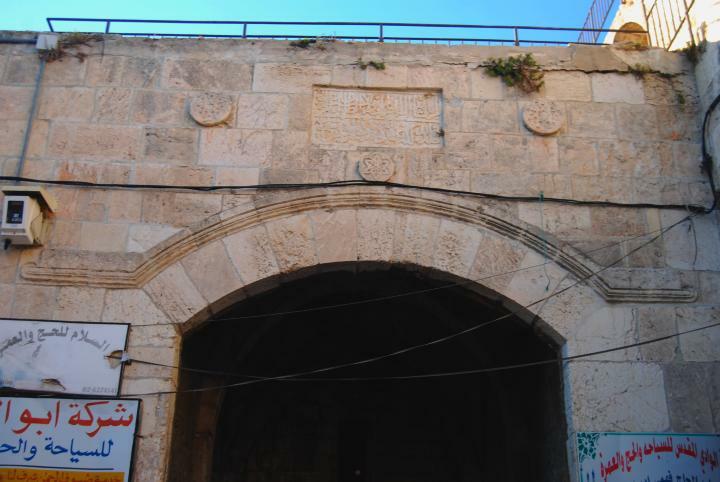 The gate is known by several names: Sha'ar Ha'Arayot (Hebrew for "The Lions' gate"); St. Stephen's gate (its Christian name); Yehoshafat gate - another common name; Bab Sitna-Mariam (Arabic name for St. Mary's gate). 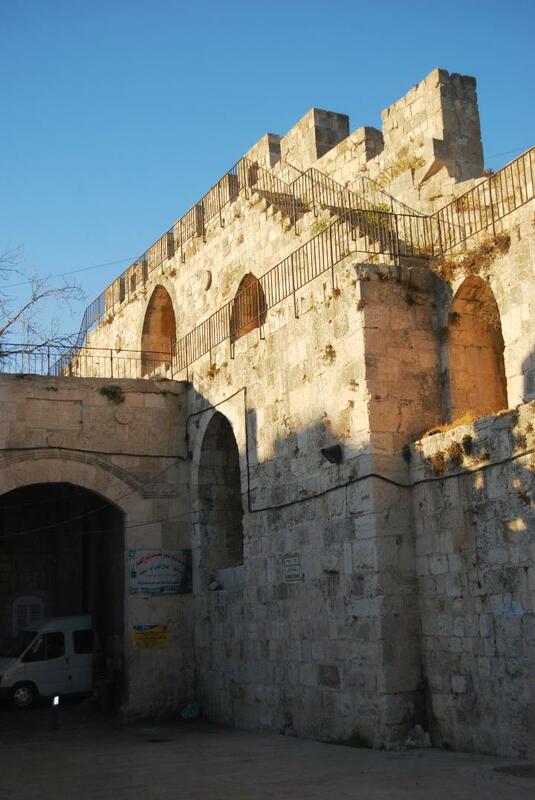 The Ottomans built the present walls of Jerusalem and this gate in 1538/9. 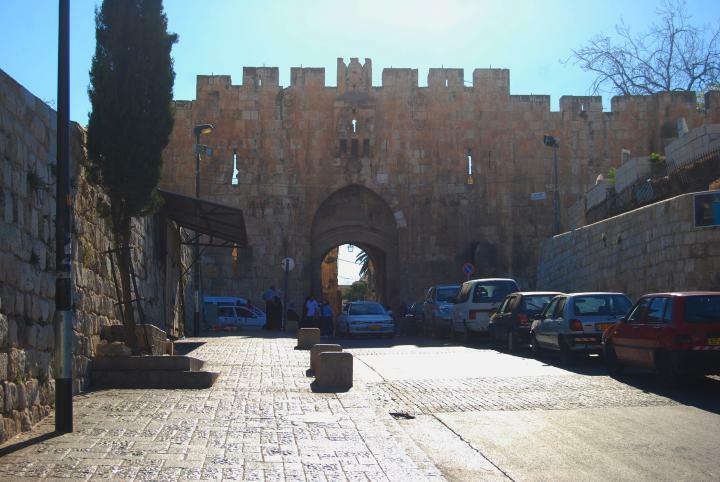 During the six-day-war, when Jerusalem was united under Israel control, the IDF forces fought the Jordanian army and entered the old city through this gate. The view below is from the east side, outside the walls of the old city. This road descends from the gate down to the Jerusalem-Jericho road, which passes through the Kidron valley and the foothills of Mount of Olives. A closer view of the Lions gate is seen below. A pair of Lions are embedded in stone on both sides of the gate. A closer view of the lions on the left side of the gate, which are actually leopards. The Lions are the symbol of Jerusalem and Judah, and is a common Jewish symbol. However, they were added by the Muslim Ottomans, in honor of the Mameluke Sultan Bybars ( 1223-1277), also known as the "The Lion of Egypt and Syria". This famous Sultan defeated the Crusaders and the Mongols and conquered the middle east. 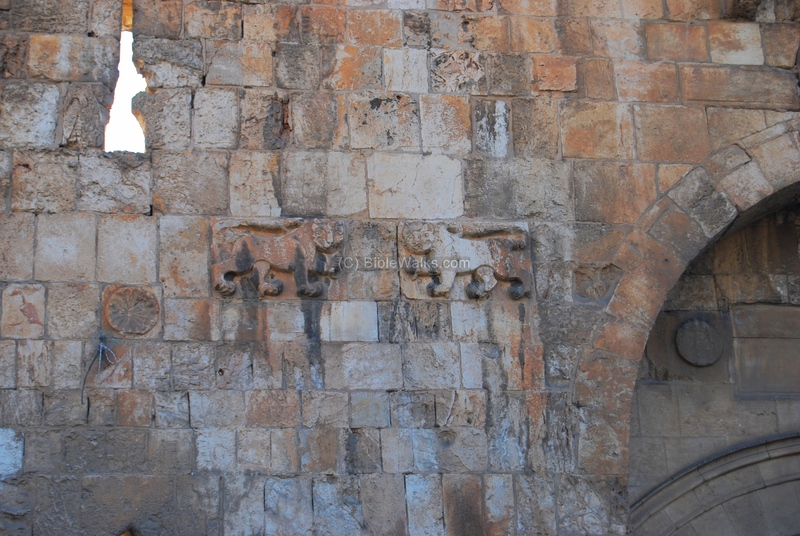 Other inscriptions of Sultan Baibars (or, Bybars) in Israel, such as in the city of Lod and in the Nimrod fortress, are also decorated with lions (or actually a cheetah), which were his symbol. 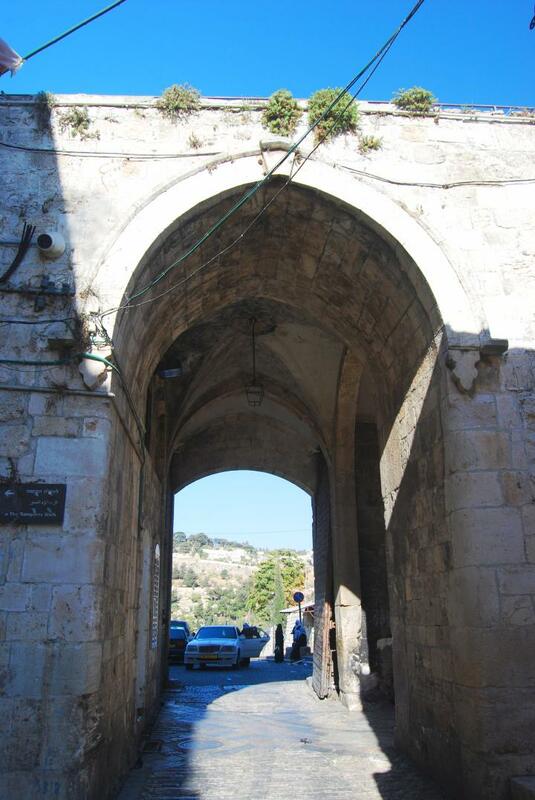 Behind the gate, inside the old city, is the "Lions' gate" road. On its left side is the north edge of the Temple mount. On the right of the road is St.Anna, so the gate is also called the "Santa Anna" gate. According to tradition it is known also as Virgin Mary's home, and this gave the Arabic's name of the gate as "St. Mary's gate" (Bab Sitna-Mariam). 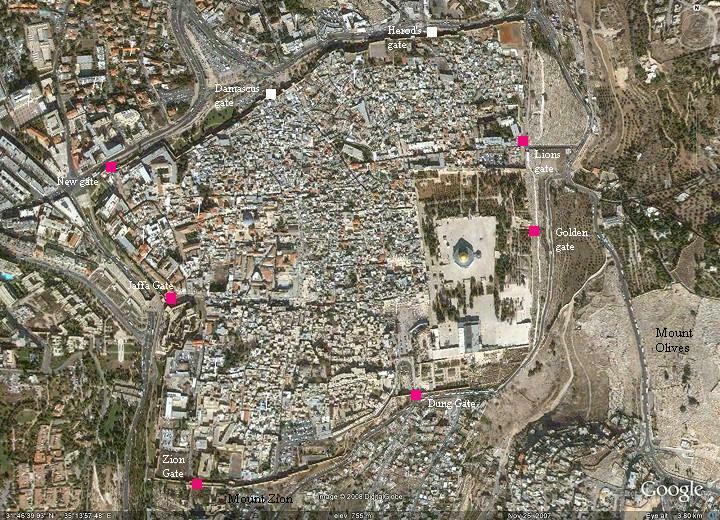 The road's direction is westwards, and after about 100M it becomes the Via Dolorosa road. The view below is from inside the city looking towards the east. The hill in the background is Mt. of Olives. Another view inside the old city is seen below, taken from the south side, showing the gate house and the walls. In the Ottomans period the entrance was not straightforward, but went around this entrance in order to slow down the enemy, as in the other gates. The inscription above the entrance on the south side credits the construction of the walls to the Ottoman Sultan Suleiman the Magnificent (reigned 1520 -1566), son of Salim Khan (conqueror of the Holy Land). According to the inscription, Suleiman built this gate in the year 945 according to the Muslim calendar after the Hijra (622 AD - the first year). This translates to the year 1538/9 (Note that the Muslim year is 11 days shorter, or 0.97 of the Gregorian year). 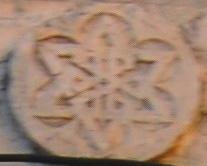 It is interesting to find a Jewish symbol - the Magen-David - below the Arabic inscription. This symbol is found in several other sections of the wall. This text attributes the character of the Lion to Judah. The Lion is the king of the animals, is fierce and forceful - which is the characteristics of Judah, whose region includes Jerusalem. Judah, as blessed by his father Jacob, is a "lion's whelp" (whelp means cub). Stephen was a follower of Jesus, and one of the seven chosen to aid elderly widows in the community of Jerusalem. He was tried by the Sanhedrin for blasphemy, thrown out the gate and stoned to death. He is regarded as the first Christian martyr ("protomartyr)." According to tradition, this gate was located near the present site, and so the Lions' gate was named Stephen's gate. "...and they chose Stephen, a man full of faith and of the Holy Ghost, ... And Stephen, full of faith and power, did great wonders and miracles among the people.... And cast him out of the city, and stoned him: and the witnesses laid down their clothes at a young man's feet, whose name was Saul. And they stoned Stephen, calling upon God, and saying, Lord Jesus, receive my spirit". Sha'ar Ha'Arayot - Hebrew: The Lions' gate. Josaphat, Yehoshafat gate - another Christian name of the gate, named after the valley below the area of the gate.